Abstract: In the Middle Ages, a certain subset of women occupied a liminal space between the masculine and feminine spheres. These were the women who participated in armed combat and who were the enactors of aggression as opposed to the passive recipients of violence. There is debate today regarding whether medieval women lacked the capability, means, and training to engage in bellicose endeavors. Meanwhile, other scholars see in the male-voiced records of fighting women disdain for the female warriors. This study argues, first, that women did have the capacity in the Middle Ages to engage in combat and, second, that the men who wrote about female warriors, both in historical chronicles and in romance, viewed the women with nuance and complexity that often manifested as open admiration. In order to investigate these topics, the author engages with sources such as the Royal Armouries I.33 manuscript and other medieval fechtbücher, or fighting manuals, to explore the practicality of women studying swordsmanship. In addition, the study analyzes medieval histories such as Orderic Vitalis’ Historia Æcclesiastica and medieval romances, including Le Roman de Silence, to understand how society viewed female fighters. 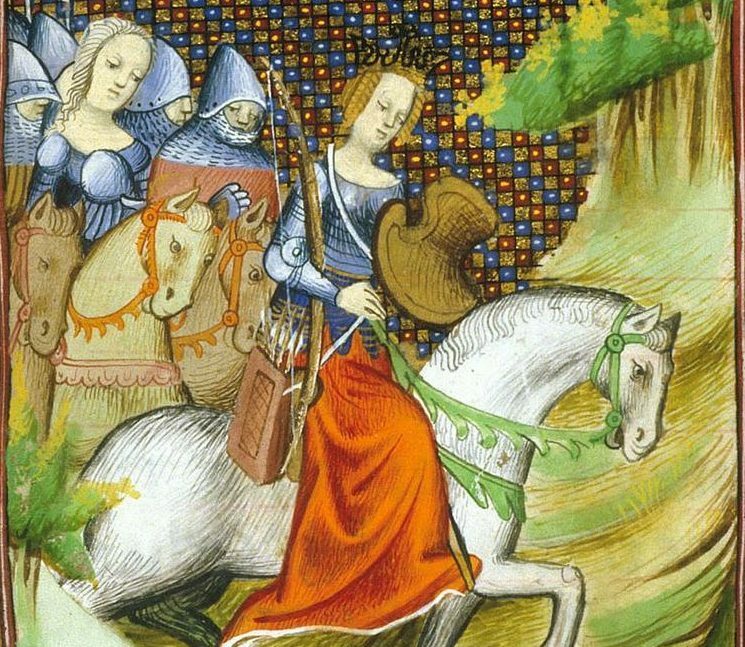 Through analysis, this thesis seeks to answer why the studied medieval writers readily accepted the existence of militant women, and to examine under what conditions women who took up arms were regarded as praiseworthy protectors of society even as the women, at least on the surface, subverted the social norms they defended.